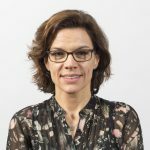 Dr Morag Young is a leading authority on the role of hormones, such as mineralocorticoid (MR) signalling mechanisms, in cardiovascular disease, and head of the Cardiovascular Endocrinology research group. Dr Young completed a CJ Martin Postdoctoral Fellowship at the Baker Institute of Medical Research and the University of Texas Southwestern Medical Centre, USA. Her studies performed in the late Keith Parker’s laboratory on SF-1 null mice enabled animals unable to produce steroid hormones to survive, opening up studies in adults on the role of the orphan nuclear receptor SF-1. These studies identified an important novel role for SF-1 in the brain and in the control of leptin signalling. Dr Young continued working with transgenic mouse models and steroid hormone signalling upon her return to Dr Tim Cole’s laboratory at the Baker Institute and also returned to her doctoral work on cardiac remodelling with Professor John Funder. Dr Young joined the Prince Henry’s Institute (now Hudson Institute of Medical Research) in 2002 as a Senior Research Officer and established the Cardiovascular Endocrinology Laboratory in 2005. Dr Young’s research has discovered that mineralocorticoid receptor (MR) activation in the heart drives cardiac fibrosis and inflammation, which leads to heart failure. Her work has been validated by several large clinical trials but the use of MR antagonists is limited by significant renal side effects (hyperkalaemia). She received the Best Basic Research Paper published in Hypertension in 2009 from the American Heart Association for her work on the role MR in macrophages and regulation of cardiac remodelling and blood pressure control. 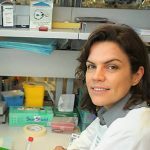 Dr Young’s work has been funded by six NHMRC project grants (four of them as CIA) as well as by industry, the National Heart Foundation and philanthropic organisations. 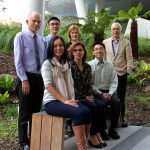 Dr Young’s research team comprises three PhD students, two post doctoral fellows and a senior research assistant. This team includes two Endocrine Fellows (FRACP). Several high profile awards have been received by students while training with Dr Young including an NHMRC/INSERM training fellowship, a commendation for the ASMR Victorian Premier’s Award, the Novartis New investigator Award (ESA) and an RACP Post Doctoral Fellowship. Dr Young serves as a Senior Editor for The Journal of Endocrinology and the Journal of Molecular Endocrinology and the Journal of Steroid Biochemistry and Molecular Biology, and also held editorial roles for Endocrinology and Journal of Steroid Biochemistry and Molecular Biology and is an appointed member of the Faculty of 1000, Physiology. Armani, A., Cinti, F., Marzolla, V., Morgan, J., Cranston,G.A.,Antelmi, A., Carpinelli, G., Canese, R., Pagotto, U., Quarta, C.,Malorni, W., Matarrese, P., Marconi, M., Fabbri, A., Rosano, G., Cinti, S., Young, M.J. (equal last author) and M. Caprio. Mineralocorticoid Receptor antagonism counters metabolic dysfunctions induced by high fat diet in mice, through browning of the adipose organ. FASEB, Epub. Lazarus, K.A., Brown, K.A., Young, M.J., Zhao, Z., Coulson, R., Chand, A.L. and C.D. Clyne. Conditional over-expression of Liver Receptor Homolog -1 in female mouse mammary epithelium results in altered mammary morphogenesis via the induction of TGF-beta. Endocrinology, 155(5):1606-17. Huang LL, Nikolic-Paterson DJ, Han Y, Ozols E, Ma F, Young MJ, Tesch GH. Myeloid mineralocorticoid receptor activation contributes to progressive kidney disease. J Am Soc Nephrol (JASN-2012-11-1094, Epub). Shen, J.Z., Morgan, J., Tesch, G.H., Fuller, P.J. and Young, M.J. Macrophage MR signaling regulates systolic blood pressure and cardiovascular remodelling. Endocrinology. 155(3):1057-66. Rickard, A.J., Morgan, J., Chrissobolis, S., Miller, A.A., Sobey, C.G. and M.J. Young. (2014) Endothelial cell mineralocorticoid receptors regulate DOC/salt-mediated cardiac remodeling and vascular reactivity, but not blood pressure. Hypertension 63(5):1033-40. Selected for Editorial Comment IF=6.8. Rickard, AJ, Morgan, J., Bienvenu, LA., Fletcher, EK., Cranston, GA, Shen, JZ., Reichelt, ME., Delbridge, L.M. and MJ. Young. (2012). Cardiomyocyte MR signaling is essential for DOC/salt-mediated cardiac fibrosis and blood pressure regulation. Hypertension. 60:1443-50. IF=6.8. Rickard, A.J., Morgan, J., Tesch, G., Funder, J.W., Fuller, P.J., and M.J. Young (2009). Deletion of mineralocorticoid receptors from macrophages protects against DOC/salt-induced cardiac fibrosis and hypertension. Hypertension. 54(3):537-43. CI=53 IF=6.8.